The rich choice of binary options brokers and trading platforms now available to fans of this accessible, risk-controlled way to trade the financial markets is very much in the interests of the end client. Competition has driven standards up and brokers are competing for traders on quality of trading platform, choice of binary option formats, trading tools and bonuses like never before. That’s great if you’re a trader but the breadth of choice can also make choosing a broker a challenge with so many companies to research. We’re here to lend a helping hand and have reviewed all of the key information and qualities of brokers that traders want to know when narrowing down their choices. How good the trading platform is, what instruments are available to trade, fees, payouts, banking and customer service are all summarized neatly in our broker reviews to give you a head start in your research. 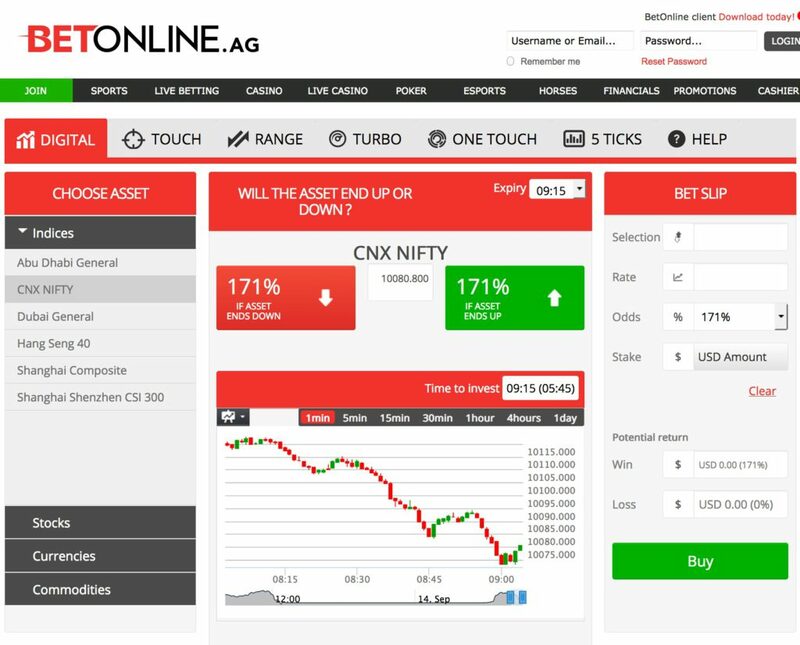 In this review, we take a closer look at the binary options offering of BetOnline, a major online gaming portal that has recently introduced a financials section to its wide range of products. BOL’s bonus program is a winner with generous cash top-ups on account deposits withdraw-able after as little as x10 turnover, which is far more lenient than bonus conditions offered by most other brokers. The binary options trading platform itself is about as simple as it gets which has its pluses and minuses. Will perhaps appeal less to more experienced traders who are used to a wider range of functionality within a trading platform but in terms of easily opening trades there can be few complaints. Customer support is to a high standard but could be improved by the addition of a live chat option. Over 100 tradable instruments will meet most needs with all the most commonly traded markets well covered. 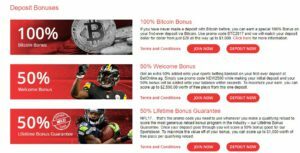 BOL Financials is part of the broader Betonline portal that also offers sports betting, casino gaming and several other products as well as financial markets trading through its binary options platform. The company is well-established and can be considered a relative veteran in term of online businesses having been founded as far back as 2004. The management team behind BOL Financials are among the most experienced on the market and have been in the online gaming industry since its earliest days back in the 1990s. The binary options trading platform is the most recent product to be added to the BOL portal and is one of very few brokers able to legally accept traders from the U.S. In a similar way to how spread betting comes under the jurisdiction of the Gambling Authority in the UK, binary options brokerage requires a gambling license to operate in the U.S. As such, BOL Financials comes under the licensing umbrella of the wider portal. BOL Financials’ binary options trading platform is extremely accessible and even those who have absolutely no experience of binary options or any other form of financial markets trading will get to grips with it almost immediately. It sticks to the core functionality of placing and managing options and has little in the way of extras. It’s place in a wider portal whose other products are more gaming orientated has obviously influenced the stripped-back nature of the platform so curious users crossing over from other Betonline products don’t find it intimidating. The trading platform is browser-based though there is also a downloadable desktop app for the whole portal which included a desktop software version of the platform. Trade execution doesn’t show any noticeable lag in the browser-version however and with everything else exactly the same there is no real need to download the desktop app. Placing a binary options trade is very intuitive with everything essentially on one screen. More experienced traders may miss the lack of tools and resources such as charting, indicators and newsfeeds but the target market of the BOL platform is clearly beginners and existing users crossing over from other products the portal offers. While BOL Financials do not yet offer dedicated app versions of the trading platform the mobile-responsive browser-based site adapts well to smaller screen formats and can be used comfortably on a smartphone. The simplified nature of the trading platform works in its favour in terms of being mobile friendly. Nonetheless, regardless of the fact that traders won’t have many issues with the responsive version of the web-based platform there is inevitably sometimes a slight lag in trade execution via a mobile device and an app version would be an improvement. The BOL Financials trading platform provides a range of over 100 different tradable instruments though there is a U.S.-centric focus in the list of individual stocks available. Binary options on Manchester United stock might be a nod to sports betting fans trying out the binary options platform and there are other interesting options such as Fitbit to trade in the equities section of the assets index. The forex options include cryptocurrency options in addition to the traditional fiat currency pairs and a good selection of commodities and indices can be traded though for some reason most of the available indices are more obscure Asian equities indices. 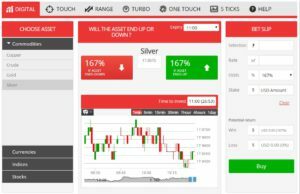 In addition to classic binary options, referred to as ‘digital’ binary options on the platform, Turbo options are offered. This binary options format has expiry times of between a few minutes and 30 seconds compared to the 30 minutes to several hours expiries of classic binary options. Touch options differ in that rather than the binary option needing to be up or down on its opening price, as per the prediction of the trader, at expiry for the option to finish in the money, the option only has to ‘touch’ the strike price at any point before expiry. As soon as the strike price is touched the binary option expires in the money, regardless of the subsequent direction the price takes. In the case of range options, the trader must make a more precise prognosis of the traded instrument’s price trajectory and it must expire somewhere between an upper and lower price range. Finally, ladder options have tiered strike prices, up to five of them, with the payout increasing the further up or down the ‘ladder’ of strike prices the instrument reaches before its expiry. Minimum investment stake starts at $1, which is significantly lower than is the case with most binary options brokers and another attraction. Beginners will especially appreciate being able to trade at low cost while building up experience. BOL’s binary options platform offers very generous payouts that are higher than industry averages on standard options and can reach 250% for Ladder, Touch and Range options. Bonuses for binary options traders are those offered on deposits across all Betonline accounts, which allow users to use any of the portal’s products from sports betting and casino games through to BOL Financials. All deposits are topped up by a 50% cash bonus which comes with the modest condition of x10 turnover attached to it before withdrawals can be made. Most binary option brokers attach x20 plus turnover conditions to bonuses. Another plus to the BOL Financials’ bonus program is its transparency. Terms and conditions are clearly stated and traders must apply for their bonus with a bonus code if they wish to make use of it. Most brokers automatically apply a bonus and its conditions with traders obliged to actively decline it if they don’t wish to be tied to turnover requirements. Subsequent account top-up deposits come with the same bonus awards as initial deposits. Even more generous bonuses are applied to Bitcoin deposits, with deposit value doubled up to a maximum of $1000. Turnover conditions before withdrawals can be made are slightly higher here at x14, though still much lower than industry averages. In addition to the standard debit and credit card, bank and wire transfer and e-payment processor banking options, BOL also facilitates deposits and withdrawals via Bitcoin and Litecoin. U.S. clients can even make a deposit via cashiers check. The minimum deposit level is set at $50, which is again much lower than the industry average of $250, with the lower end of minimum deposits usually $100. Minimum withdrawal value is also $50. Cryptocurrency, debit and credit card and e-payment withdrawals are all same-day guaranteed, another competitive advantage over the majority of binary options brokers. Bank wire transfers can take between 2 and 5 working days depending upon the bank. BOL Financials traders have phone and email customer support available to them 24/7 though English is currently the only language support is provided in. The addition of live chat support would be a welcome addition here but phone support staff are friendly and helpful. The BOL Financials’ binary options trading platform focuses on the trading itself and there is nothing of note provided in terms of additional features such as analytics tools or educational resources. However, traders can easily find all of these additional tools or resources elsewhere online for free so this is not a major drawback. 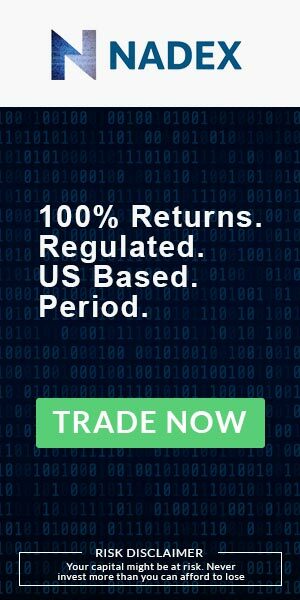 BOL is well-established and licensed to operate with U.S.-based binary options traders so can be considered a safe, reputable broker to trade with. The minimalist trading platform is perfect for beginners but there is no reason why more experienced traders won’t also be perfectly happy with it, using third-party trading tools where required. Low deposit requirements and investment stakes as low as $1 are a strong competitive advantage and cryptocurrency enthusiasts will appreciate being able to make deposits and withdrawals in Bitcoin and Litecoin as well as being able to trade a range of cryptocurrency-based binary options. Is BOL Financials a scam binary options broker? No, the company has been around since 2004 and is licensed to offer gaming and binary options trading in the U.S., as well as most of the rest of the world. What is the minimum binary options stake? The minimum binary options investment position is $1. What is the minimum deposit that can be made into a BOL Financials account? The minimum account withdrawal value is $50. Do BOL Financials accept Bitcoin deposits? Yes, both deposits and withdrawals can be made via both Bitcoin and Litecoin.